CIOs become the driving force for business innovation. 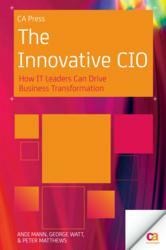 CA Technologies today announced the availability of “The Innovative CIO: How IT Leaders Can Drive Business Transformation,” the latest book published by CA Press. This pragmatic guide is designed to help Chief Information Officers (CIOs) become the leaders of innovation in their organizations and to meet innovation challenges head on. It provides valuable tips for identifying innovation sources and fostering an innovative spirit within the organization, as well as practical tools for evaluating, tracking and selling the value of innovation to the business. Co-authors Andi Mann, George Watt, and Peter Matthews quantify the benefits and risks of IT innovation, survey opportunities for innovation from existing and emerging technologies, and identify the organizational structures and processes that have proven to deliver ongoing innovation. Inject IT into the dynamic core of an organization’s culture, training, structure, practice and policy. In addition, CA Technologies recently unveiled a new podcast series, “Talking Innovation,” featuring interviews with experts on a range of topics related to innovation. Book author Andi Mann was recently interviewed for the series. “The Innovative CIO” is available on Amazon and Apress. For more information about CA Press books and materials visit: http://www.ca.com/us/about-us/Innovation/CA-Press.aspx. Andi Mann is vice president of Strategic Solutions at CA Technologies. With over 20 years’ experience across four continents, Andi has deep expertise of enterprise software on cloud, mainframe, midrange, server and desktop systems. Andi has worked within IT departments for governments and corporations, from small businesses to global multi-nationals; with several large enterprise software vendors; and as a leading industry analyst advising enterprises, governments, and IT vendors – from startups to the worlds’ largest companies. He has been widely published including in the New York Times, USA Today, CIO, ComputerWorld, InformationWeek, TechTarget, and more. 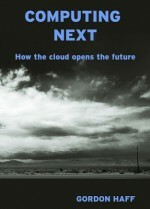 George Watt is VP of Corporate Strategy for the Cloud Computing organization at CA Technologies. For more than 25 years, George has been helping customers simplify and automate their complex IT infrastructures. Prior to his current role, George founded CA Technologies Engineering Services team, which is responsible for protecting the company’s intellectual property, managing the consolidated source code repository, and providing automation and development tools. 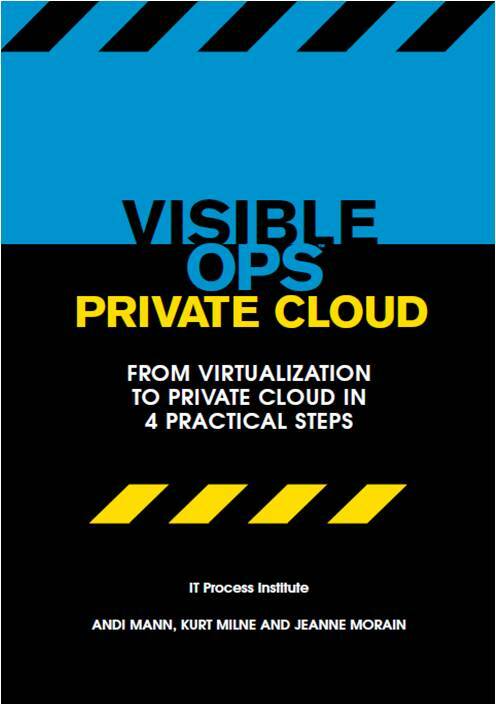 In this role George led the development of CA Technologies own private cloud and enjoys sharing his lessons learned with customers who are now venturing on a similar journey. Peter Matthews is a Research Staff Member in CA Labs the research arm of CA Technologies. After training as a teacher he retrained to make the transition into computer software and after over 30 years in IT, Peter has worked with software on systems ranging from Mainframe to Smart phones. During his time at CA he has worked with databases, infrastructure management and neural networks with customers from major banks and industrials to soccer clubs and start-ups. Peter’s current research areas are: service oriented architecture in particular Cloud Services, social networking and IT value management. CA Technologies provides IT management solutions that help customers manage and secure complex IT environments to support agile business services. Organizations leverage CA Technologies software and SaaS solutions to accelerate innovation, transform infrastructure and secure data and identities, from the data center to the cloud. Learn more about CA Technologies at http://www.ca.com. With more than 1,500 books in print and e-formats, Apress is the authoritative source for IT professionals, software developers, and business leaders all over the world. Apress provides high-quality, no-fluff content that helps serious technology professionals build a comprehensive pathway to career success. Since 2007, Apress has been part of Springer Science+Business Media, one of the world’s leading scientific, technical, and medical publishing houses, enabling global distribution of Apress publications. For more information, please visit http://www.apress.com.